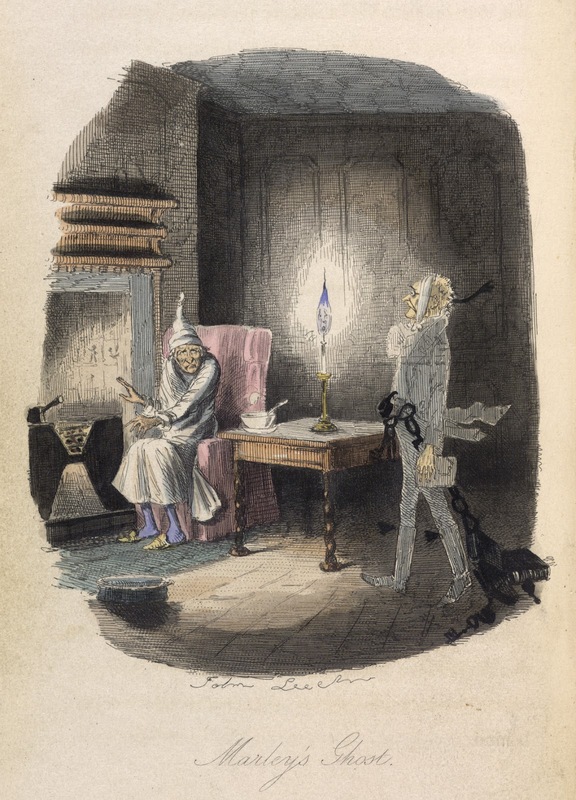 A Christmas Carol, by Charles Dickens, is one of my favourite Yuletide tales - and I have to say that A Muppet Christmas Carol is one my all-time favourite festive movies too. Not only do I enjoy a winter's night ghost story, I love the idea that even the meanest person can have a change of heart. But I recently had a new revelation about the classic story of a man being visited by spirits who showed him the past, the present and the possible future. In a new book called The Akashic Records, author Sandra Anne Taylor points out: "But did you know that this tenderhearted and moving story is about the Akashic Records?" I hadn't realised it before, but you can certainly read it that way. The Akashic Records are described by Sandra Anne Taylor as: "A vibrating storehouse of information and energy... Embodying all the mysteries of life - your life, my life, the entirety of life from before life began, as we know it - the records will go on long after the world we know disappears." She also describes them as being like a huge library that contains all the knowledge of the universe. That's the image I love. It makes me think of something like the library in The Name of the Rose, but infinitely bigger and more mysterious. There are other names for the records, of course. The Buddhist term Alaya Consciousness is similar. As someone who follows a path of Jungian spirituality, I like to think of the Akashic Records as being connected to the collective unconscious. However you visualise the Akashic Records, or whatever term you use for them, they are a way of comprehending how one can use psychic techniques to find out information about our past, the forces that are influencing us in the present, and what the possible outcome might be in the future. We can also use that information to alter our actions and behaviour to bring about changes in our lives in the future. 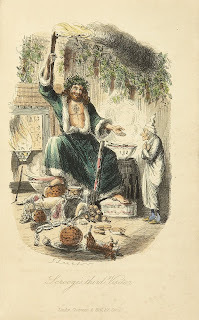 Just like Scrooge. Sandra Anne Taylor's new book, which has the subtitle Unlock the Infinite Power, Wisdom and Energy of the Universe, offers techniques and exercises to help you access the Akashic Records and use what you find there for insight, personal development and help with overcoming problems. It is in the Hay House Basics series, so is an introductory guide, starting with the simple concepts and working up to more advanced techniques. I would say that although this book is a straightforward guide aimed at beginners, tapping into the Akashic Records is generally considered a relatively advanced psychic skill. You probably at least need to have some experience of meditation, mindfulness or hypnosis and know about about past life theories first. Nevertheless, The Akashic Records is written in a straightforward way and builds up from easy first exercises. Hay House Basics - The Akashic Records can be ordered via Amazon. 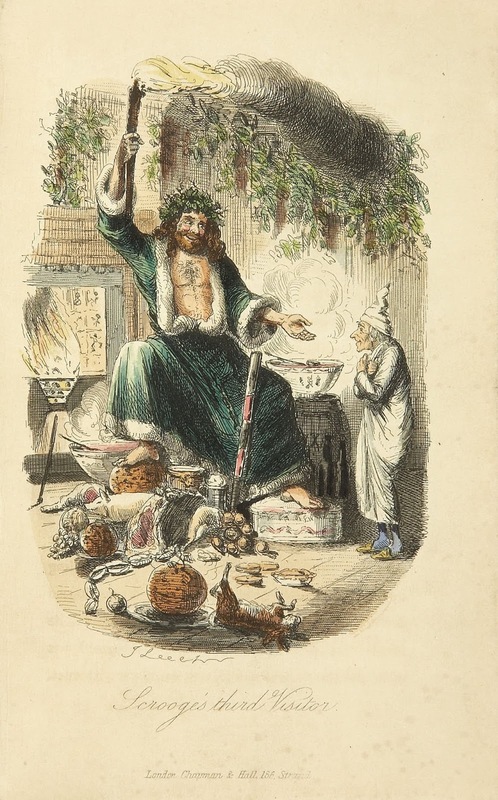 The pictures show The Akashic Records, "Marley's Ghost", original illustration by John Leech from A Christmas Carol, and "The Ghost of Christmas Present" from A Christmas Carol, 1843.